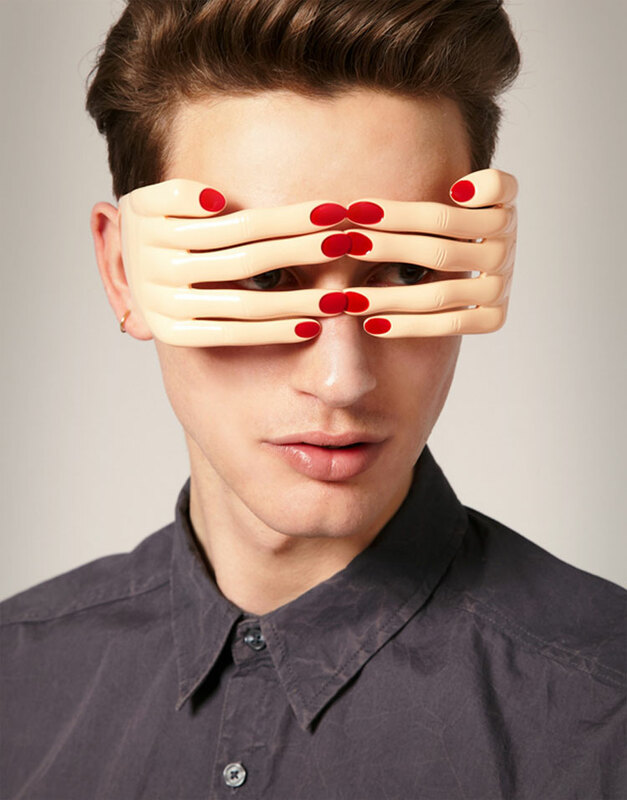 Designed by American fashion designer Jeremy Scott, these creepy hands over eyes glasses are about as useful as a hipster with an empty set of frames. By wearing these "glasses" you will be offered no UV protection from the sun, no corrective lenses, plus you get to look like a complete loon, although it will compliment your molester mustache quite nicely. 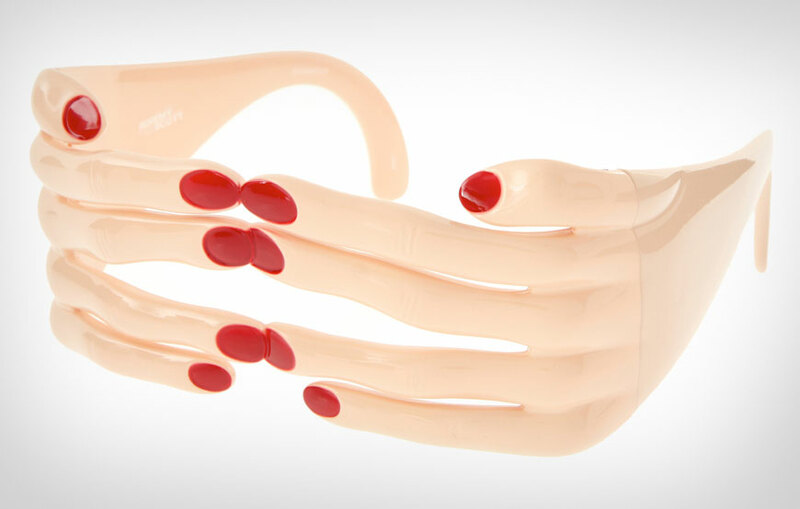 Not surprisingly worn by pop singer Kesha, these hand glasses will certainly bring the stares from strangers, assuming that's what you're into. 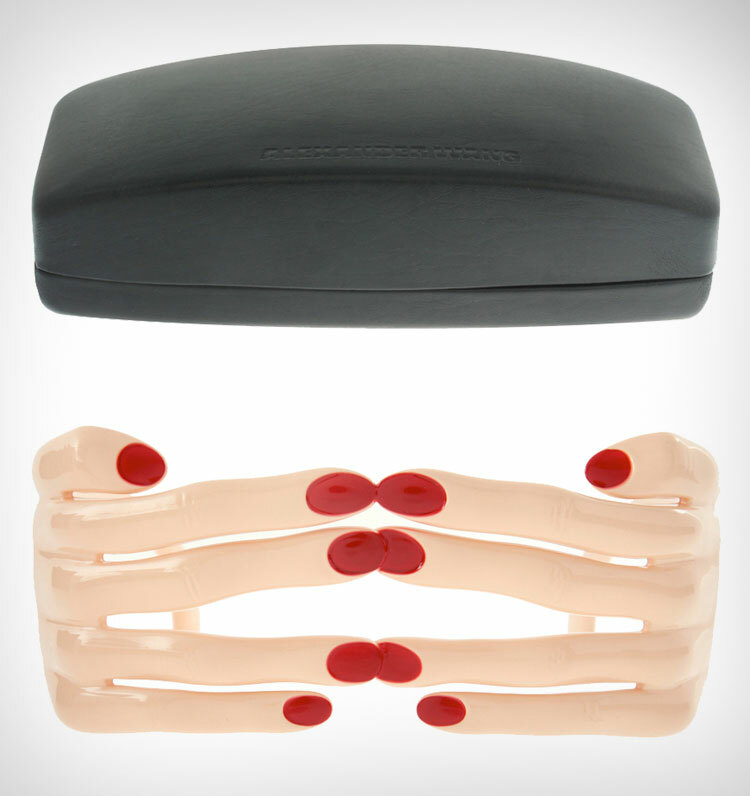 The hands over eyes glasses are made out of plastic, come in a handy black carrying case, are offered in a few different colors, and are featured in Jeremy Scott's Autumn Winter 2013 Collection.